No matter how you identify your personal style, whether you’re a dark and lovely goth girl or a plaid-loving punk rock queen, a cool handbag is an essential accessory that will help complete your look. So when it comes to scoring the right purse for your look – let’s go back to the basics! ‘Cause even though there’s no rule that limits the number of cool handbags a chick can own; saving time, money, and sanity during your hunt for a hot handbag is priceless. What you have hanging in your closet says tons about your style personality. Are you into punk rock shows? Do you live for country music festivals? Wish your entire wardrobe was full of skintight, ripped leggings and black corsets? Considering that fashion is a strong indicator of one’s lifestyle, interests, and culture; remember that accessories can add exciting character to your already-cool style. This includes a great handbag! Whether it’s a skull messenger bag or a punk rock purse you’re after, be sure to shop with your wardrobe in mind. That way, you can start calculating how many outfits you’ll be able to rock with your new bag – saving you time, in the long run. Do you like to schlep lots of stuff around day in and day out? Then a large, multipurpose shoulder handbag with lots of space and pockets would be a great choice. Need an edgy compact style to solely carry your keys, wallet, phone, and lip gloss for an evening out? A studded clutch is definitely date night-ready. Whether your signature style is inspired by occultism or built on classic minimalism, there isn’t just one handbag out there for you….there are several! So the challenge is oftentimes finding a purse that’s functional, unique, and will fit all of your essential items inside. But when keeping your wardrobe and lifestyle in mind, the hunt for a hot handbag becomes easier than you think. No, you’re not alone if you’ve been wearing the same ‘ol type of purse for years. It’s easy to get stuck in a rut with your wardrobe! But when the time comes for you to add a new addition to your handbag selection, try exploring new color, patterns, and/or fabric. The fun thing about fashion is that the concept of “rules” really is non-existent. So the freedom you have in being creative with your outfits truly is limitless, allowing you to try out different handbag styles that’ll mesh well with your wardrobe and lifestyle. For example, you may have emerged on the goth scene in full-on black from head to toe, but over the years, you decided to add a new layer to your dark gothic look with shades of pastel and platinum. A handbag, be it a skull handbag or canvas shoulder handbag, is a great accessory to play with in regards to experimenting with new styles, because it’s noticeable, likely to spark conversation, and has the potential to revitalize your wardrobe. 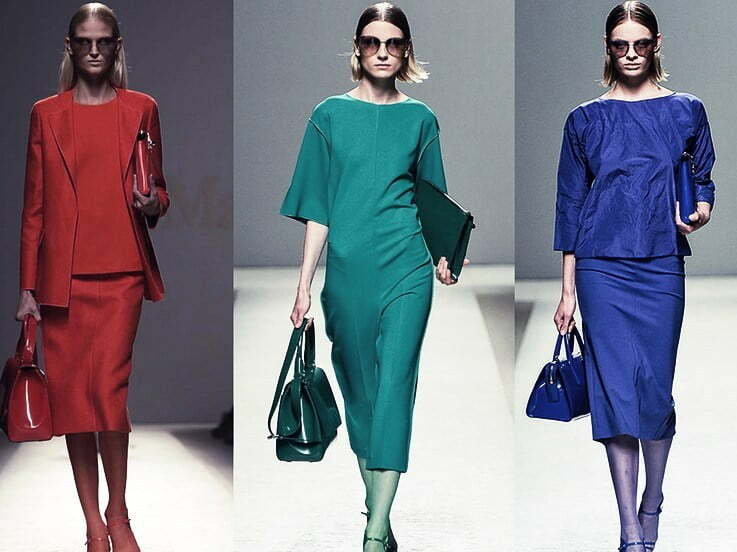 However, monochromatic looks with bold color from head to toe is totally mod and fresh. When it comes to shopping for a handbag that’s within your fashion budget, the first thing to do is: be real with yourself. By knowing how much you have to work with, your handbag shopping experience is likely to be much more enjoyable and will save you both time and money in the long run. (e.g., you’ll browse within your budget range, you won’t have to make a return because you regretted your decision). Being prepared for your fashion purchase and having a realistic mindframe as you shop for a cool, new purse is a necessary part in the process of handbag hunting. But what type of bag is the best bag to buy? There is no cookie-cutter bag that fits every women’s style. From pinup darlings to boho beauties, we all have different tastes and personalities. That said, uncovering a handbag that would fit every chick the same is impossible. Ultimately, the bag that’s right for you is the one that will naturally complete your badass outfit. In doing so, it’ll add extra character to your personality, complement your wardrobe, and comfortably fit both your lifestyle and budget. What type of handbag fits your style perfectly? Feel free to share your thoughts with us in a comment below!